I recently signed up for a collage class at my local adult school. The first thing my teacher told us was to stop thinking, and allow our subconscious minds to take over. I knew right then and there that this was the right class for me. In essence, it’s exactly what I tell my clients, my students, my husband, and myself, again and again. Drop out of your mind and let your creative flow do the job. Simple, profound, and sometimes quite difficult. The mind has a way of convincing us that it knows best. It’s also damn good at reminding us of all the ways in which we’re screwing up. It promises us solutions, if we stay just a little bit longer. And that’s when we get stuck, there in the discomfort of our minds, scouring every nook and cranny in search of the right answers. It’s at that moment that our creative flow comes to a screeching halt. It is easy to get stuck, and it’s easy to stay stuck. That’s why it’s important to continually tap into, nourish, and encourage your creative flow. Free flow writing – Free-flow writing means writing without censoring. Julia Cameron, author of the Artist’s Way, recommends writing 3 handwritten pages, first thing each morning. Another technique is to choose a word prompt, and write whatever comes to the page. Free-flow writing will allow you to come up with ideas you never could have thought up. 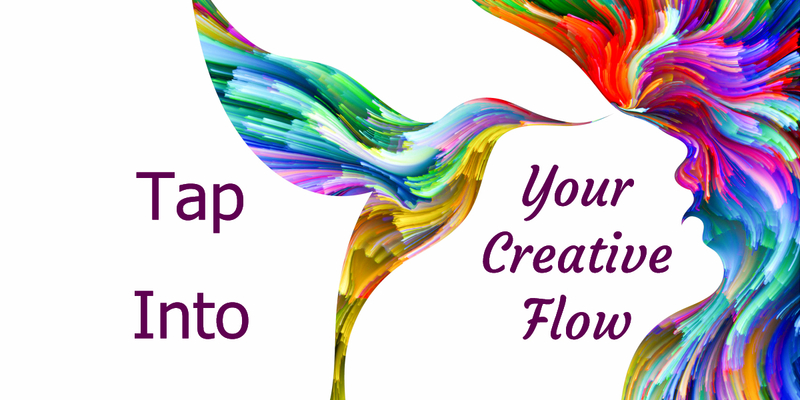 Free flow art – Again, like free-flow writing, free-flow art such as sketching, or collage, will help you to tap into your creative flow. Allow your art to come from this deeper place within you. By regularly practicing, you will become more and more familiar with the power of your subconscious creative flow. And, you will come up with creations you never could have planned. Prepare and Let Go – Of course, sometimes it is best to prepare. For information- or skill-based projects, preparation is key. Once you’ve substantially prepared yourself, though, it’s time to let go and allow your subconscious to guide you. I frequently practice this technique, when I speak publicly, or teach a class. I prepare my talk, and let go. My preparation allows me to speak confidently without notes, my creative flow provides me with on-point spontaneity. Brainstorming – Good old brainstorming. How often do we allow ourselves to brainstorm. The key to brainstorming is to let go of the censor, and allow anything to come up, no matter how ‘impractical’. It’s these ideas that sometimes hold the magic gems we desire, but can’t ‘figure out’ with our everyday brains. Walk in New Surroundings — Shake things up. Take a new way to work, explore an unfamiliar part of town, hike a hidden wooded trail, travel to a different locale. Take yourself out of familiar surroundings, and use adventure to revive your creative flow! 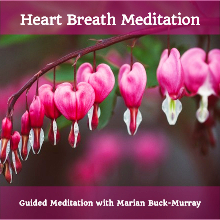 Heart Breath—Negative mind chatter is one of the biggest deterrents of creative flow. The Heart Breath is one of the fastest ways to drop out of negative mind, into a deeper, more creative, alpha brainwave state. It’s easy to do, learn more here. EFT Tapping – EFT Tapping is another powerful technique to help you drop into your creative flow. EFT is one of the most effective techniques for reducing cortisol, which gets triggered when we’re under stress. Reducing cortisol, will help you relax, and drop into a deeper alpha brain state. Contact me to learn more about using EFT Tapping to enrich your creative flow. Listen to Music Infused with Binaural Beats – This type of music will help your brain shift into a deeper brainwave state. Especially helpful for times when you’re working on creative projects. Insight Timer, my favorite meditation app, has a number of free Binaural Beat meditations. Hemisync and Silencio Music are two other sources I use. Each one of us is gifted with our own unique, creative flow. Use whatever techniques work best to tap into yours, and let it ROLL!